An afternoon of good news was up at the Holiday Inn Suites in Makati as Bank of the Philippine Islands and Globe announced a spectacular deal that would make your smart phones a tad better. Whether you are postpaid or prepaid subscribers of this network, you now have access to the BPI Express Mobile App anywhere in the Philippines and Globe won't charge you a single cent for it. This means that you can have banking transactions right on your smart phone and make inquiries, bank transfers, payments and other services as easy as a flick of a button. Ms. Nabbie Alejo, the Executive Vice President and Head of Retail Segments and Channels Group for BPI says this partnership only has everything to gain and will make it easier for their bankers to access their bank accounts, transfer money, pay for bills and reload mobile phones when you need it and where you need it. It's the aggressive stance of BPI that makes it all worthwhile to be with them as they continue to make the banking experience as easy as 123. I always use this app to monitor my investments and check my balance if I need to. They've also updated the app recently so it goes with the iOS7 design, look and feel. It also is responsive, fast and efficient if I wanted to bank wherever I am in the country. Now, it'll be more accessible to the public because it's totally free! I have to tell you though that just don't use the location services on the app so you don't get charged for that (the ATM locator) because as I've been informed that isn't included. Everything else is fair game! Daniel Horan, Globe's Senior Advisor for Consumer Business says that this partnership with Bank of the Philippine Islands enforces their customers digital lifestyles. Today, mobile phones are not just about calls and texts, but people use it for financial services as well. 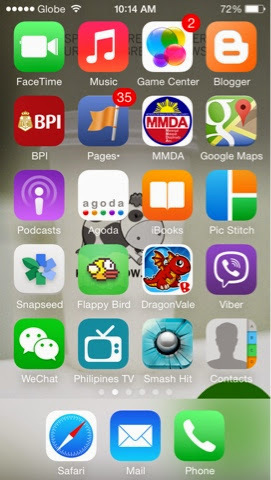 Globe is steadfastly growing smartphone consumer base and they will definitely benefit from this wonderful service. BPI's Senior Vice President and Electronic Channels Group Head Manuel Tagaza says that BPI has always been at the forefront of introducing new channels for their clients. It is a must for them to access their accounts conveniently. 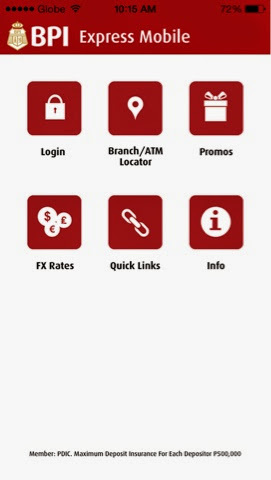 The BPI Express Mobile app is the number one finance related app on the App Store and it is doing quite well. They are now just extending their portfolio and always trying to make sure that the technology available in banking would be available for all their clients. They put effort in making collaborations like these because it makes everything easier. A feat not available in other banks in the country. 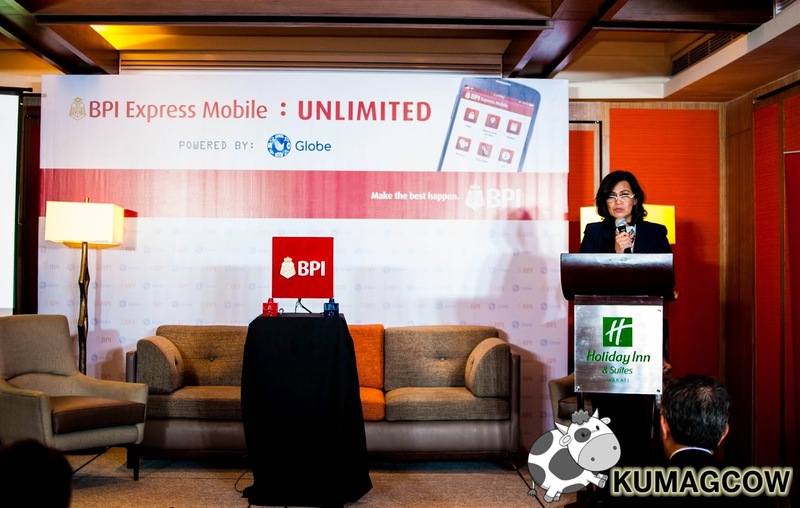 Congratulations BPI and Globe on this wonderful partnership! Together, you are making the Filipinos live their lives better!